I have always had trouble with irregular cycles. DIM/I3C Estrogen Metabolite by Professional Formulas seems to be helping me get on track! 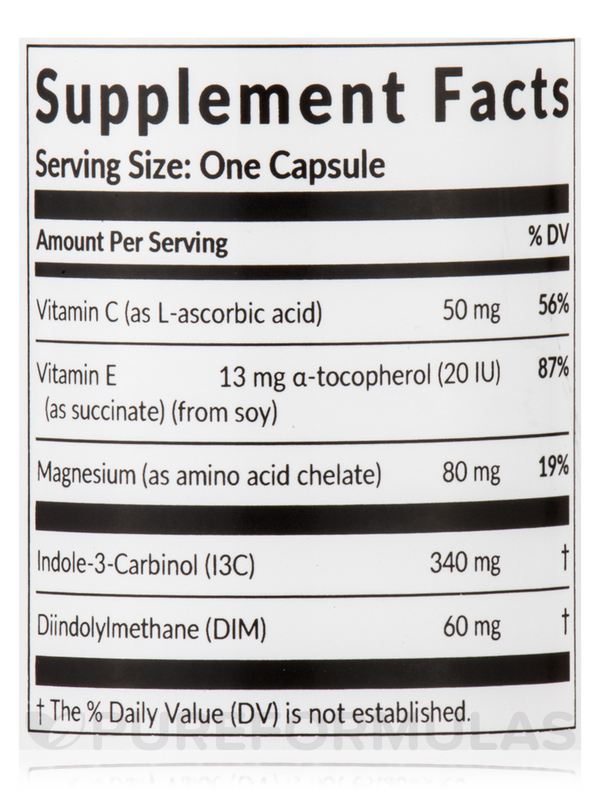 Indications: Nutritional support for healthy estrogen metabolism. Scientifically formulated nutritional product made from superior ingredients; quality controlled to ensure optimum potency‚ safety and efficacy. 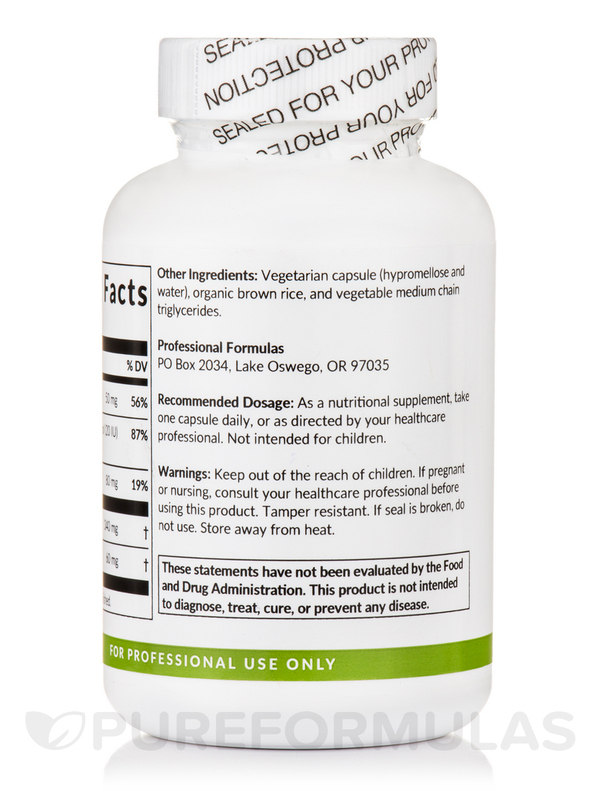 As a nutritional supplement‚ take one capsule daily‚ or as directed by your healthcare professional. 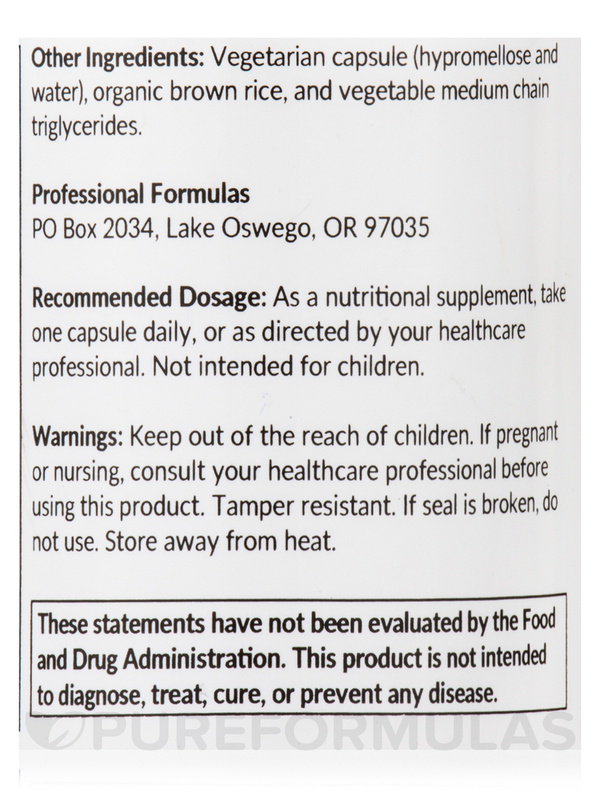 I just purchased DIM/I3C Estrogen Metabolite Blocker by Professional Formulas so I cannot say if it works or not but I can say it has a horrible smell. Very strong mothball smell. It gets on my hands if I touch one of the capsules. I cannot put this in my pill organizer with my other supplements. I'm thinking this is the I3C that smells because I've taken DIM before and not noticed this nasty smell. Product k but seems not to do the job. 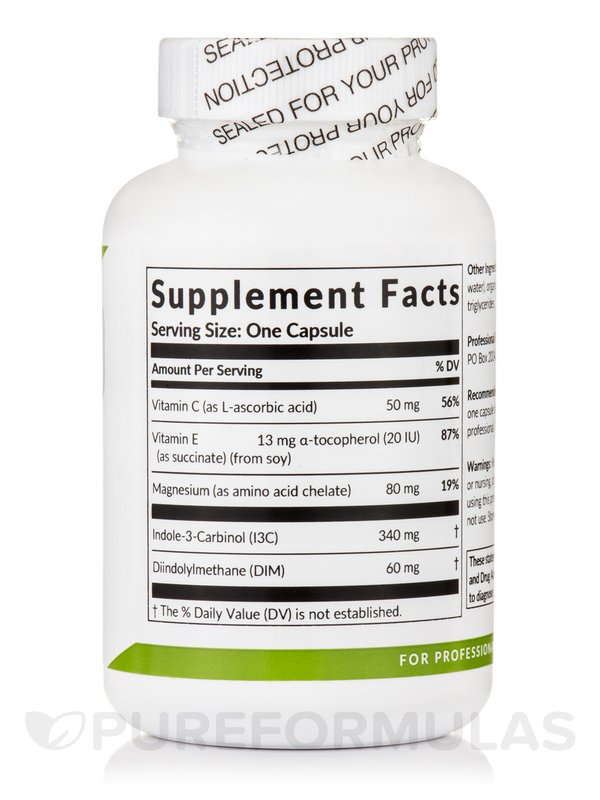 I take DIM/I3C Estrogen Metabolite Blocker by Professional Formulas with no results. 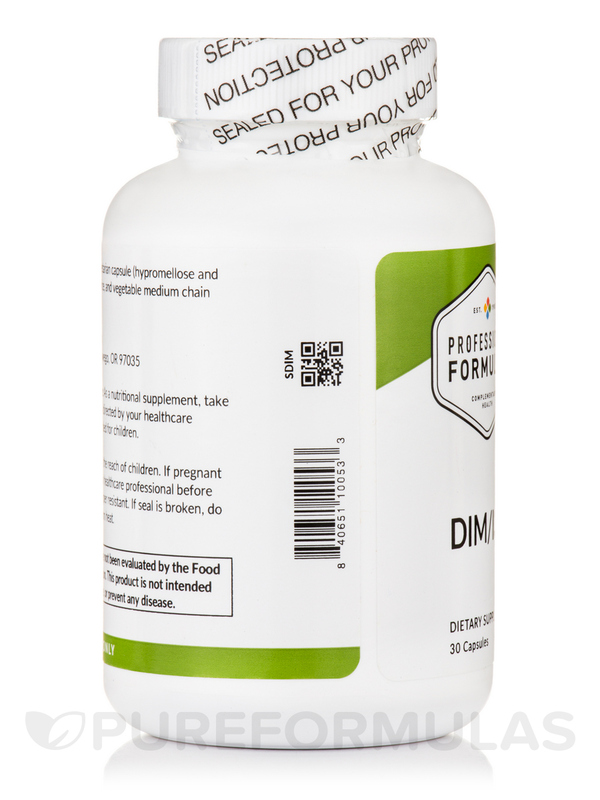 DIM/I3C Estrogen Metabolite Blocker by Professional Formulas helped with estrogen receptors. (hence.. Blocker) I had cancer. And it was an estrogen fed type. This product helped me with keeping my estrogen levels lowered especially around those times of the month where estrogen levels rise. I was on this product for quite along time. Did it's job. Would I recommend? Definitely yes!! It did it's job to lower estrogen levels. I wish they could lower the price just a wee bit more . I don't remember the regimen of pills I had to take a day, what I do remember was I had to buy a number of bottles at a time. So the bottle really didn't last too long. 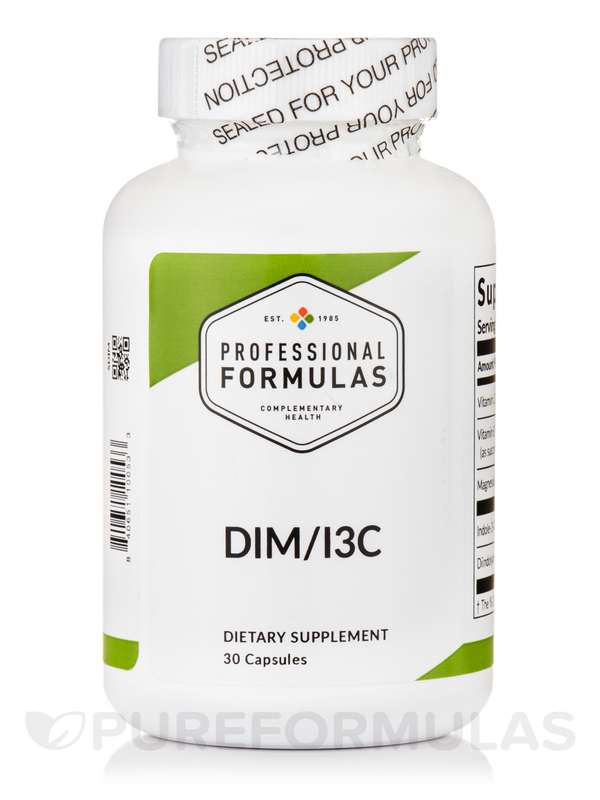 DIM/I3C Estrogen Metabolite by Professional Formulas keeps the bad estrogen levels low and balances the hormones. It works and no side effects. It is pricey, we should get twice the amount for the price. I am a breast cancer survivor (DCIS) which means my cancer was Estrogen Positive. This is an estrogen blocker. One doctor told me I had to take tamoxifen for 5 years which I know has a less than 5% chance to cause ovarian cancer so I opted not to take it at all. DimI3 was recommended by my doctor. I have been taking this for 3 years now. So far so good. I will continue to take it as long as I live! I was buying Dim-I3C Estrogen Metabolite Blocker from my doctor and was charged a lot more. Cheaper to order on my own. I like how fast the order arrives! Dim-I3C Estrogen Metabolite Blocker works great. I dont have tenderness or swelling. I will keep ordering Dim-I3C Estrogen Metabolite Blocker and have told a few of my friends. It does what it says. I dont suffer from excessive amounts of estrogen.